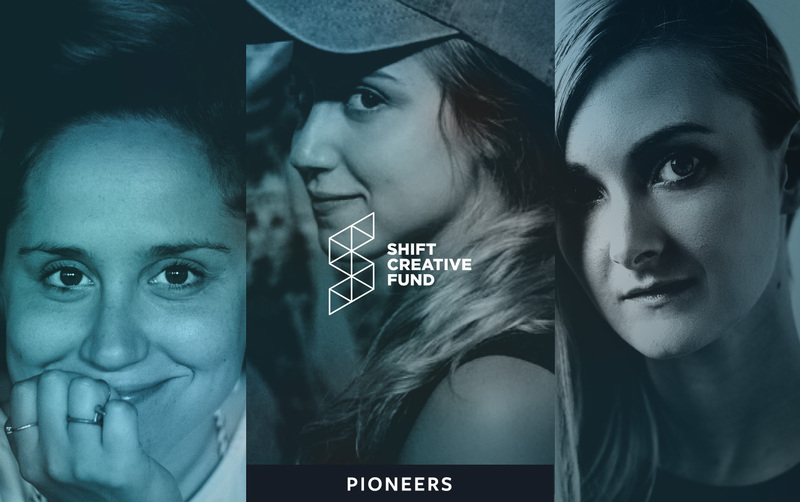 This spring, before the official launch of the SHIFT Creative Fund, we awarded a small seed grant to Pioneers, an all-female, production-ready independent film. The project explores themes of perseverance, hope, and grit from a female perspective, bringing a new kind of story to the screen that we’re excited to support. The women behind the film will be sending dispatches throughout the fall as they move through the creative process, taking us from the beginnings of the production company through pre-production and post. It’s a thrilling look behind the scenes, and we know you’ll enjoy tracking their progress with us. Find out in this first installment how SLMBR PRTY got its start and how the company’s inaugural effort is developing. We began SLMBR PRTY a little over a year ago after shooting a short documentary in Washington DC for the Women's March. We were so inspired to support other women and, specifically, female creatives in our industry. SLMBR PRTY started as a simple idea that was brainstormed in a bar with a couple of friends. We thought if we could put our female friends from various disciplines — writers, producers, directors, actors, editors, SFX, sound — in one room, we could collaborate, support, and learn from each other. That night while brainstorming, cinematographer Allison Anderson joked with us that, whenever she works with a lot of women on set, she jokingly chants, “Slumber party! Slumber party!” So we dropped the vowels and the name stuck. Our original intent was to host a few events a year, but the collaborative nature of our group really took off and soon members were sending projects to each other for feedback. When scripts started coming through our inbox, we began to figure out ways we could develop and fund these projects, which led us to create SLMBR PRTY Films, our production company. With SLMBR PRTY Films, we get the chance to support filmmakers and the stories we feel passionate about telling. We were so excited when Dani Girdwood and Charlotte Fassler, the directing duo behind Similar But Different, joined us at an event. We had been long time admirers of their work, so we were thrilled when they shared the Pioneers script with us and introduced us to writers and actresses Bianca Rusu and Diana Irvine. Pioneers stuck out to us as a very special script. We were immediately drawn to the bold storytelling and unflinching portrayal of female characters in the early days of the American West’s expansion. Bianca and Diana had written a powerful story of survival as seen through unique characters who defy expectation. Even more so, we were excited for the story to be set at a beautiful and captivating location like the desert with these two women as the sole focus of the film. Dani and Charlotte shared images of their inspiration that every producer would be excited (and admittedly, a bit terrified) to undertake. However, we absolutely loved the challenge! Simply put, the SLMBR PRTY community has allowed us to build amazing relationships with super talented women. As a result, Pioneers, and any script we take on as producers, will most likely be a women-led film and crew because we draw from relationships in our community, which is natural for any filmmaker (and is exactly why we started this initiative). We introduced Dani and Charlotte to Allison, and they immediately connected with Allison’s style and felt it was right for their vision. We are so excited to work with her again on this piece. While we have confidence in ourselves and collaborators outside of our gender, we would be lying if we said it doesn’t feel a little badass to take on the Western genre and help tell the story of these amazing women pioneers with an equally amazing group of women creatives. The girl gang we’re forming feels quite powerful, and it creates a cool and unique energy. Our greatest hope is that this energy and our collective perspective translates to the film, and you as the audience can feel it as well.